There are a limited number of copies still available from the first printing of Opera as Opera, and the second printing will be available Nov. 26th (in plenty of time for the holidays!) This will be a limited run, so we suggest that you get in your order soon. 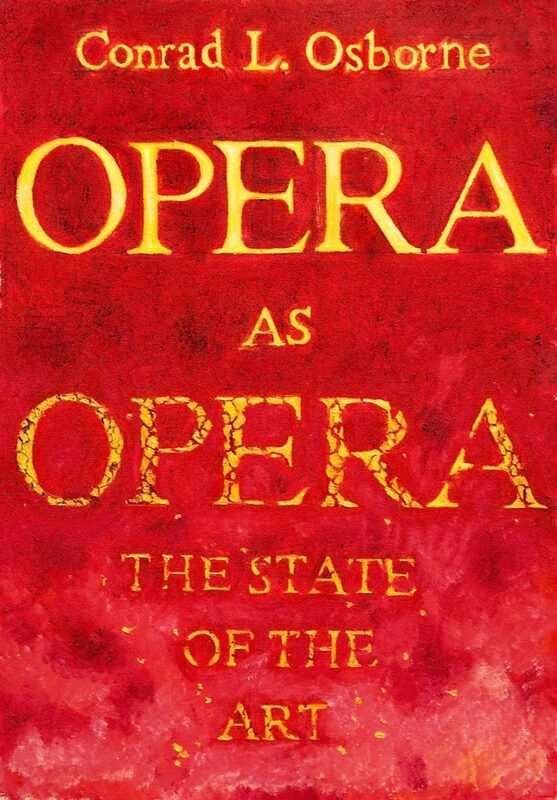 Thank you for your interest in Opera as Opera, “Without doubt, the most important book ever written in English on opera in performance” — Joseph Horowitz, The Wall Street Journal. Opera, maintains the author of this comprehensive and provocative volume, finds itself in an artistic predicament that goes beyond previous generational disruptions and “is our own, and special.” Arguing that we cannot solve the problem unless we recognize and define it, and that we cannot hope to envision the artform’s future unless we first come to terms with its past, he examines all elements of recent operatic practice as revealed in performance—“Performance,” he declares, “is our text.” He asserts that with renewal of the repertory long at a virtual standstill, we have tried to substitute auteurial production methods and cultural revisionism in its place, with disastrous results. Accordingly, Opera as Opera draws on performances encountered over an eighteen-year period to first analyze styles and techniques of production (direction and design), and then to trace, in copious detail, the developments in the performing disciplines of conducting, singing, and acting that have loosened our connection to the canon. “The masterworks,” it flatly states, “are not before us.” In a central section, it also surveys the more general cultural background of this situation, in particular the influence of modern and postmodern philosophy and literary criticism, and the turn away from the master narrative which in the author’s view was the principal generating force behind opera’s greatest era. Whether the reader’s primary interest is musical or theatrical, whether it lies with intellectual and aesthetic matters or with into-the-weeds discussion of the work of the performers who bring opera to life, he or she will find much that will stimulate and challenge in this deeply informed, incisively written book. Read more about the author on his website, ConradLOsborne.com.